Growing Great Fruit! Propagation Workshop. At the end of this workshop, you will leave with your own grafted tree, the knowledge of how to propogate your own fruit and nuts, and a network of new urban-food friends! Similar workshops have been held for $100 to $200 in Montreal and London, ON – by bringing Ken here, and offering work-trades we hope to make this information more widely available. 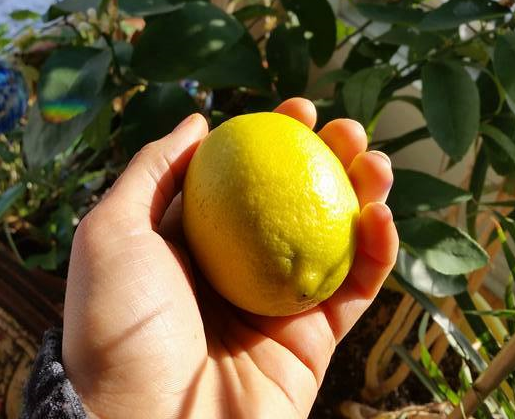 Below: Meyer Lemon recently grown indoors in Ottawa from a plant from Ken. How can we grow our own fruit and nuts in an urban environment? How can we get the most out of a small yard? What varieties are cold-hardy, disease-resistant and how can we grow them for free? These questions and more will be explored – and your questions will be welcome. 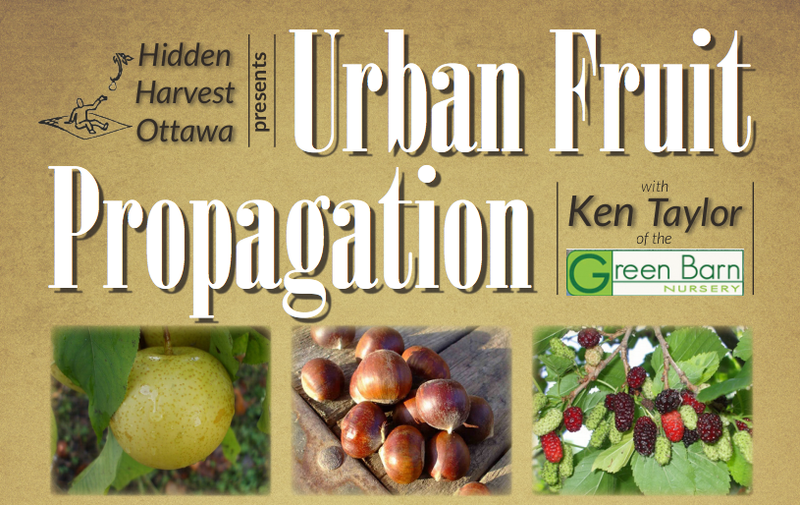 Back by popular demand, Ken Taylor has gleaned a lifetime of wisdom in the topics of fruit tree selection and propagation, and it is our pleasure to bring him to Ottawa for this full day workshop. We will hear stories of delicious food for our climate and elusive fruit varieties with unparalleled flavours and colours, not available in stores. We will learn several methods of fruit tree propagation, including hands-on grafting, how to collect and root cuttings, how to collect and start from seed. Ken will bring with him a collection of seeds, plants, and fruit for us to explore and he’ll “auction” them off at the end of the day – often at prices that are a steal! Watch clips from last year’s workshop, and hear the inspiration behind the participation of last year’s attendees in this video. Rare amazing plant auction – Ken will bring a selection of items: special seeds and other interesting varieties to go home with workshop participants! With his lifetime of fruit propagation, he’s brought the Pawpaw to new northern latitudes and developed the very good looking ‘Taylor Apple-Pear’. Ken has tremendous insight regarding our food system, and believes that our hand in evolving plant genetics is essential for a future sustainable food system. His legacy is living at the Windmill and Greenbarn Nurseries outside of Montreal, where he and his family sell hardy fruit and nut trees for our climate. Interested in attending? Information and registration can be found by clicking here. We seek to cover our costs: any proceeds go to Hidden Harvest Ottawa, helping put our city’s food to good use through picking and sharing fruit with local food agencies.